For many equine enthusiasts, there’s nothing more beautiful than art depicting our favorite animal, the elegant, powerful, and noble horse. 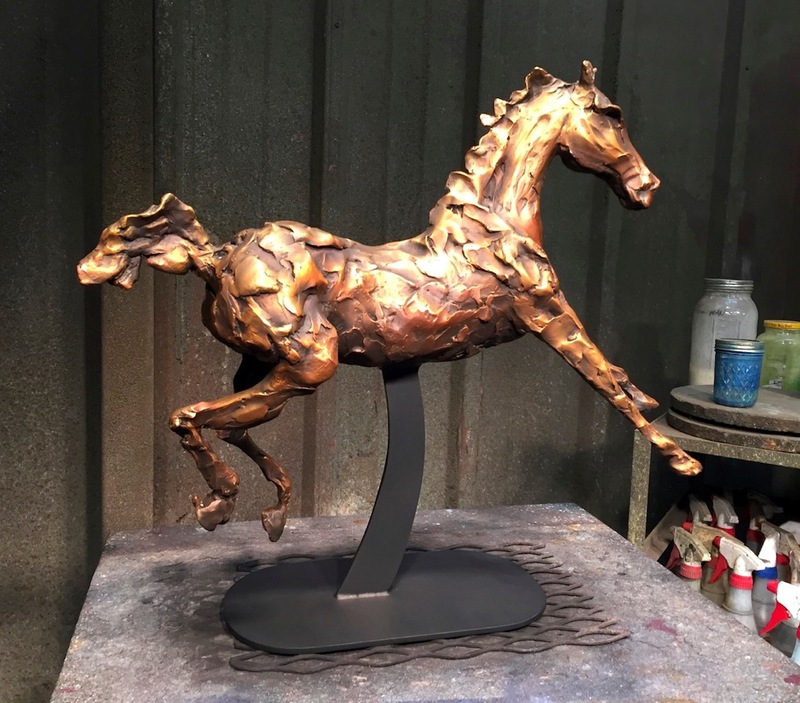 Donna Bernstein and David McEwen are two talented equestrian artists who manage to passionately capture the spirit of the horse in their creations. Donna grew up dreaming of horses, but never had the chance to own one. Instead, she spent countless hours studying them in books, museums, and at neighbors’ fields and farms. She says she paints the horses she never had. Storm King by Donna Bernstein. Used with permission. 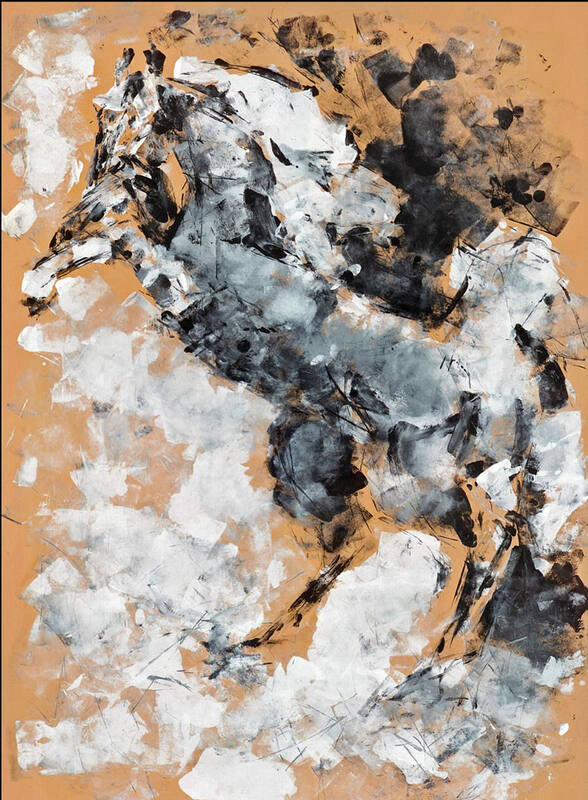 She adds: “It isn’t horses that I paint; I paint the way they make me feel.” This perfectly describes her art—her images are based in reality, but they are not confined to replicating every minute detail. Donna’s art also includes bronze sculptures, for which she follows a similar process to her paintings. She says sculpting horses came naturally to her from her first piece. Gosling by Donna Bernstein. Used with permission. “As a lover of jewelry…I saw that my art could lend itself naturally in that direction, and so I created the Donna B “Equilibre” Collection, consisting of pendants, men’s tie pins, earrings, and bracelets,” she says. Philanthropy is also an important part of Donna’s life. 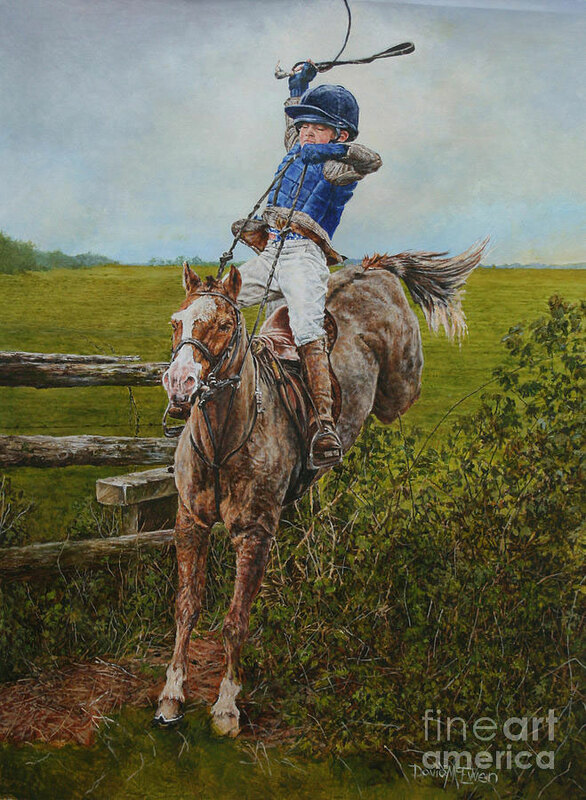 She uses her art in support of a variety of horse-related charities such as Old Friends Equine, a farm in Kentucky that houses retired racehorses. “I want truth in paint but with added guts, if you know what I mean,” he says. Looking at his art, one understands exactly what he means. The Winners of The Hickstead Show Jumping Derby by David McEwen. Used with permission. Similarly to Donna, a childhood love of horses inspires his current artwork. He had Polio as a toddler and was in bed for a year. When he recovered enough for physical activity, he was put on a Shetland Pony to strengthen his legs. “The love affair started then,” he says. “Since [childhood], I’ve been around horses, ridden them, breathed them, and painted them. 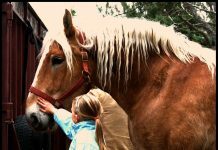 I love their power and gentility, their nobility and kindness, their speed and their calmness and think of them as the most beautiful of all animals.” Most horse lovers would agree! Painting also started at a young age for David. David’s family is involved with the equestrian world, and they continue to inspire his art. His daughter is internationally-renowned show jumping coach, Mia Palles-Clarke. His granddaughter, Amelie, is now riding too. Wilf the Brave by David McEwen. Used with permission. 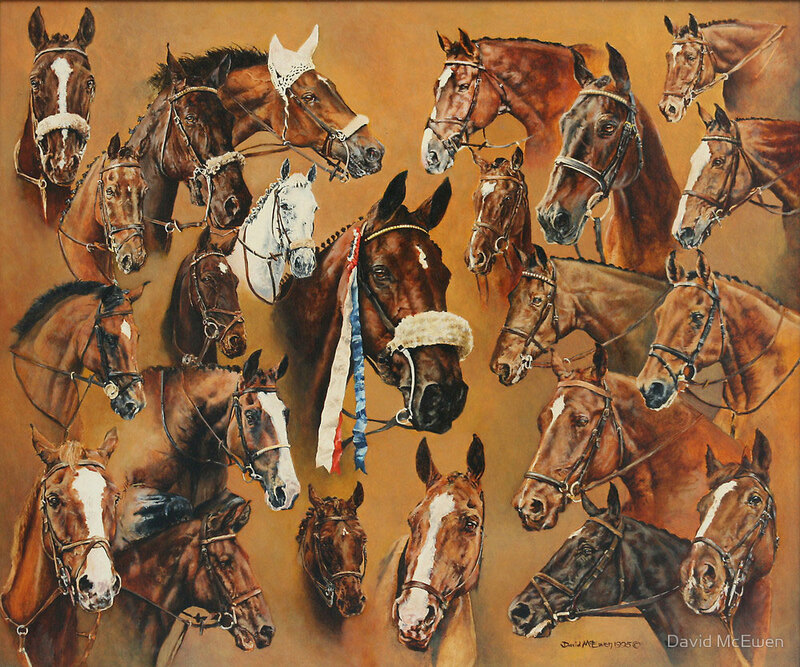 One of David’s personal favorites is “The Winners of The Hickstead Show Jumping Derby” because his late wife, Sally, did all the research while he painted. The painting “Lady in Waiting,” is a favorite because it features his daughter Mia about to enter the arena. Last, he enjoys “Wilf the Brave,” which depicts a seven-year old boy jumping a hedge while hunting on his birthday. “It shows power and bravery,” David adds. Love what you see? Both artists offer commissions, and more photos and prints of the artists’ work can be found online at www.donnabernstein.com and www.fineartamerica.com/profiles/david-mcewen.